Parastou Donyai, Lecturer in Pharmacy Practice, University of Reading, UK. 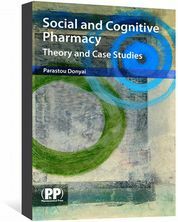 Social and Cognitive Pharmacy is also available as an ebook. 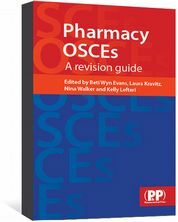 "This is an excellent primer on improving the pharmacist-patient interaction, an area not often covered in pharmacy schools...The book is written in a way that makes it useful to both pharmacy students and experienced practitioners. The examples assist understanding and applicability. 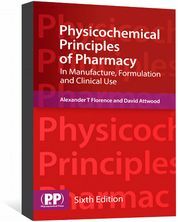 There is little question that use of the book along with practice in using some of the principles can improve the quality of pharmacy practice in all settings...There are no other books in print exactly like this one. This one has a British focus, but any U.S. pharmacist or pharmacy student would have little or no difficulty in understanding it. Pharmacists who internalize the concepts and theories presented here should become more valuable resources to their community or patient population." "Each topic it covers, such as social determinants of health, is explained in simple prose, as well as including informative figures, tables and graphs. 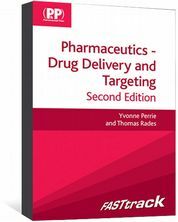 In addition to this it also has sample examination questions to go through...All the examples and explanations are relevant to pharmacy, including patients compliance with their medication...as a student, this book is worth buying as it would be a helpful addition to the teaching in the pharmacy practice modules."